Olympic Kilns: Here is the place to order your Olympic Medallion Artist Series Kilns Always on sale, we offer Olympic kilns for ceramics and glass fusing in both gas fired kiln and electric kiln models. We carry all Olympic Ceramic and Glass Kiln parts and accessories and we offer repair services as well. 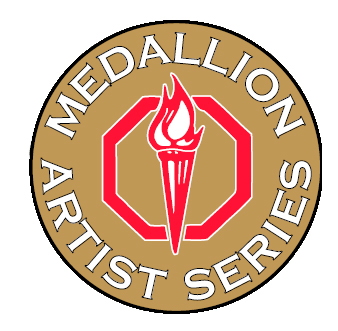 Olympic MEDALLION ARTIST SERIES MAS1818HE : 2.63 Cu. Ft Cone 10: Electronic controller !